I implemented the Dock panel and the bulk edit like explained in the dokumentation. But i do not get it running. I do not understand how to combine Dock panel and Bulk edit to make it work. Please provide some code example. We prepared an example for you (See attachments). Bulk Edit is a special editor, which is displayed in a Dock Panel. 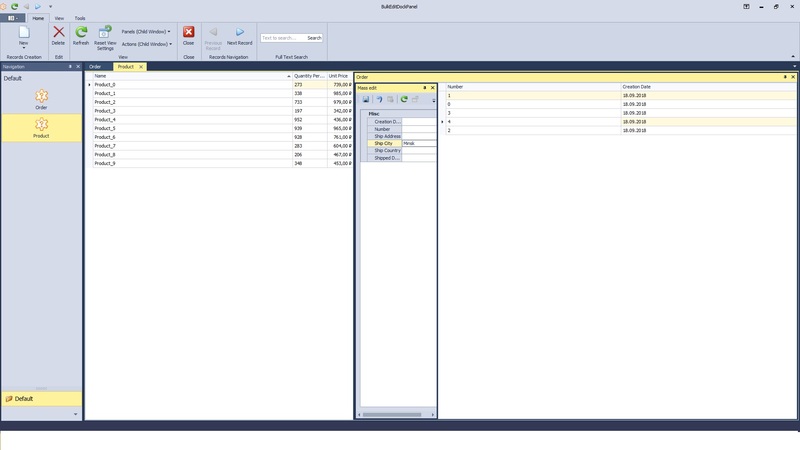 DockPanels is displayed in the window if the current window Template implements the IDockManagerHolder interface. Xafari uses the DockPanelTemplateControl for dock panel, that does not implement the IDockManagerHolder interface. To show Bulk Edit in dock panel, you need to create custom template for Dock Panel. To do this, the sample created CustomDockPanelTemplateControl.